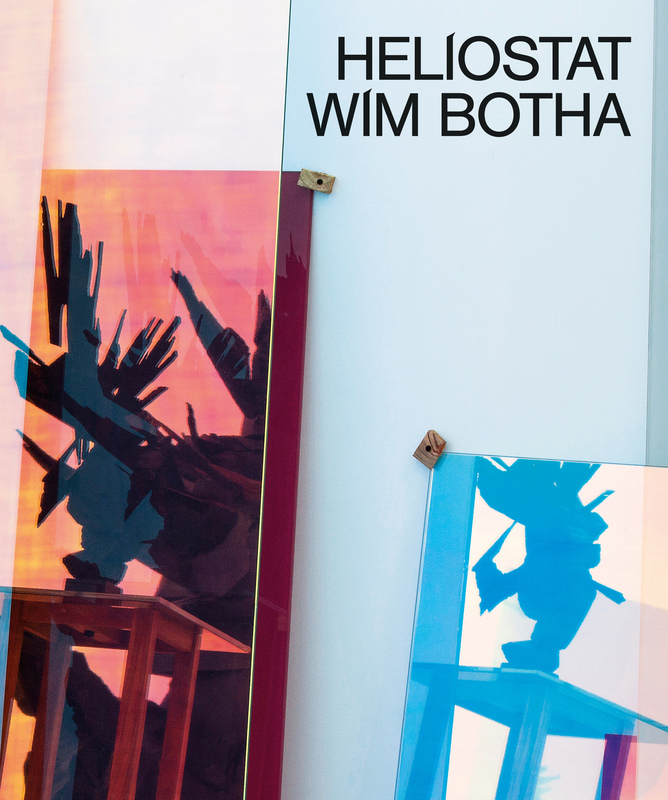 Published by the Norval Foundation to accompany their survey show of the same title, Heliostat brings together key works in Botha's career spanning two decades. Curated by Owen Martin, the exhibition was organised around the idea of refraction - 'the transformation of light, the increasing or decreasing of its wavelengths, as it passes through a material, such as glass or a prism'. In his text, Martin points to the emotive power of Botha's work, the artist's ambivalent relationship to European culture, and his transformation of symbols associated with his Afrikaans identity; these are explored through a close reading of two works: Prism 13 (Dead Pietà) (2015) and Joburg Altarpiece (2009). Liese van der Watt contributes an essay that explores how Botha's 'interest in process and form of the work of art is ultimately used to engage profound existential questions', while Ashraf Jamal addresses the curatorial premise of light as the 'defining dimension' of Botha's exhibition. In addition to rich documentation of Botha's works, the book includes historical photographs and a number of the artist's notes and sketches.